Thailand is a dream destination for those who love stunning beaches, mountains, and forests, as well as incredible food and colorful temples. Not only does the Kingdom of Thailand attract travellers for its sights, sounds, and tastes, but also for its affordability: think cheap food and drink, cheap transport and cheap accommodation! A great choice for stylish and well-priced accommodation in Thailand is ibis Hotels where rooms can start around $40. 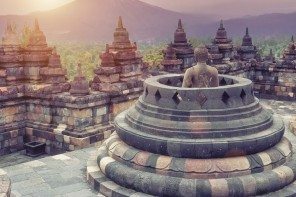 To help you plan a budget friendly vacation to Thailand, here are six fabulous destinations to consider along with hotel recommendations. 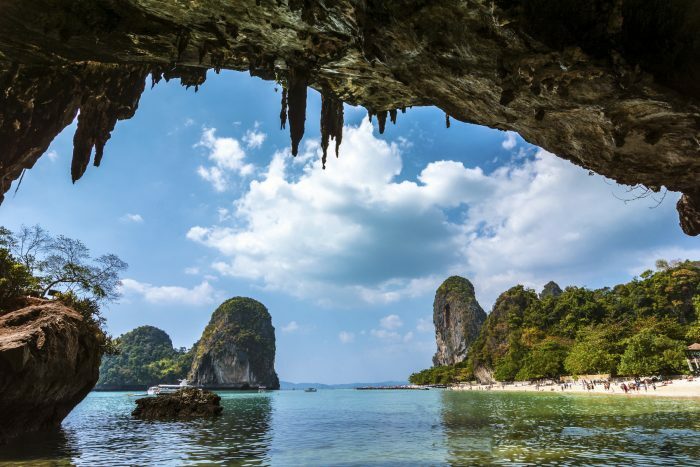 For stunning beaches, lush jungles, and views of beautiful limestone cliffs, head to Krabi, a province on the west coast of southern Thailand. Popular destinations in Krabi include Krabi Town and nearby Ao Nang and Railay, as well as the islands of Ko Phi Phi and Ko Lanta. Railay Beach is also a renowned rock climbing destination, and there are several rock climbing schools at Railay Beach. Spend a few days at ibis Styles Krabi Ao Nang, a great budget option in Krabi. The hotel offers fabulous cliff views, outdoor pool, all-day restaurant, a complimentary breakfast, and a free shuttle to the beach. Rooms are air conditioned and have free Wi-Fi, coffee and tea facilities, a 32-inch flat screen TV, and more. 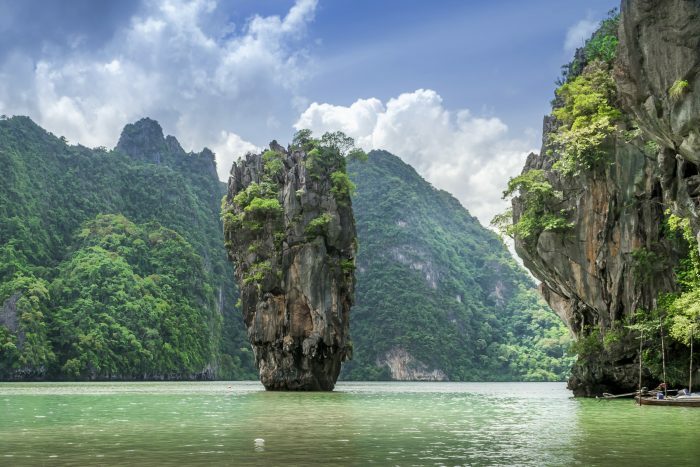 Thailand’s largest island, Phuket, remains uber-popular for a reason: it has a ton to offer. Phuket attracts beach lovers, serious divers and snorkelers, watersport enthusiasts, honeymooners, backpackers, and everyone in between. Be sure to check out Nai Harn beach in Rawai and Kata Noi Beach in Karon; visit the impressive Phuket Big Buddha; and make some furry friends at Gibbon Rehabilitation Project. Consider staying at ibis Phuket Kata, a modern, affordable hotel located within walking distance of beautiful Kata Beach. 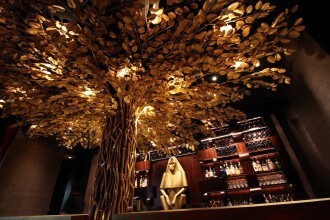 It offers 258 rooms, a large outdoor pool, and all-you-can-eat breakfast buffet, and the popular restaurant, Taste. Rooms are air-conditioned and offer Wi-Fi and safe deposit boxes. Koh Samui is one of the largest islands in Thailand and has been attracting tourists to its shores for decades. The island, located in the Gulf of Thailand, is known for its palm-tree-lined white sand beaches, turquoise water, and cleanliness. 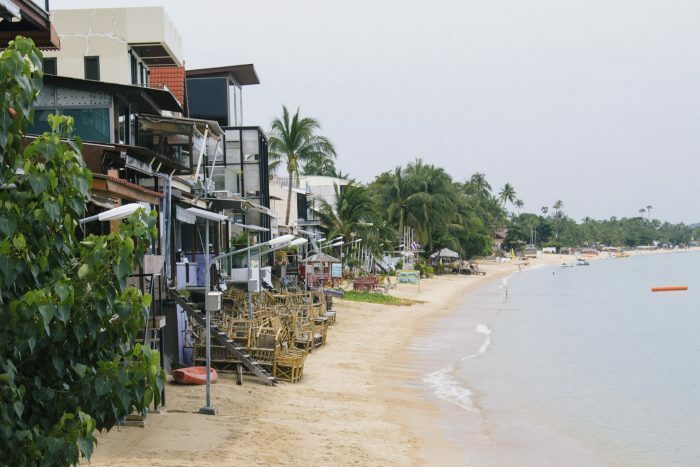 While Samui offers accommodation options for all budgets, it is home to some of Thailand’s most luxurious resorts, and as such it tends to attract a more upscale crowd. The ibis Samui Bophut sits right on Bophut Beach and features over 200 modern rooms, all with balconies and many with sea views. Gaze out at the beach from the hotel’s gorgeous outdoor pool, enjoy a cocktail at the bar, take a kayak out into Bophut Bay, and walk down to the charming Fisherman’s Village. Once a quiet fishing village, Hua Hin has transformed into a laid back, family-friendly beach town. Feast on cheap seafood, catch some live music, buy some unique souvenirs at the fantastic Cicada Market, and, of course, relax on one of Hua Hin’s beaches. 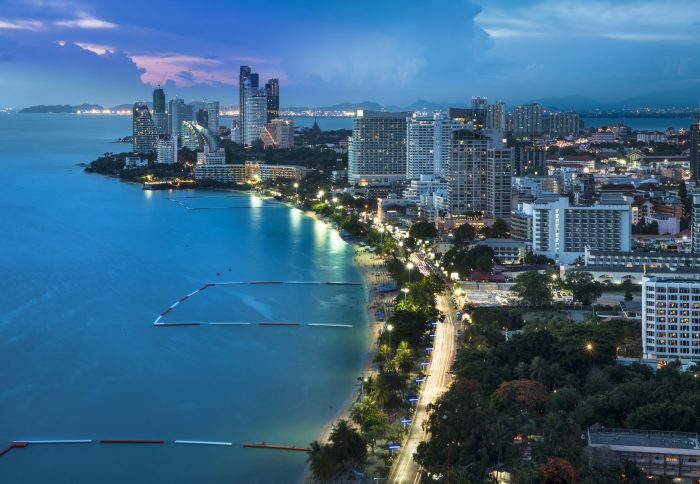 Hua Hin is also easy to get to from Bangkok, making it a great destination for those who don’t want to venture all the way down to the southern islands. The ibis Hua Hin offers contemporary, stylish, and affordable accommodation just a five-minute walk from the beach. Each room offers free Wi-Fi, a balcony, air-conditioning, and tea and coffee making facilities. And, best of all, ibis Hua Hin can be reached by car, bus, or train from Bangkok. Pattaya is located on the east coast of the Gulf of Thailand, about 100 kilometers southeast of Bangkok. This beach town is a mix of (of course) beaches and watersports, fantastic temples and museums, and adult-only activities. 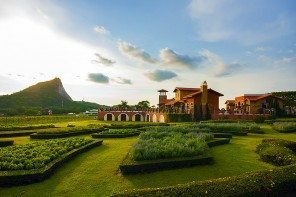 Check out the beautiful and unique Sanctuary of Truth, or Prasat Sut Ja-Tum; stroll through the enchanting Nong Nooch Tropical Botanical Garden; and have some seafood and a beachside massage at Jomtien Beach. For spacious and trendy rooms conveniently located between the beach and shops, book a room at ibis Pattaya. 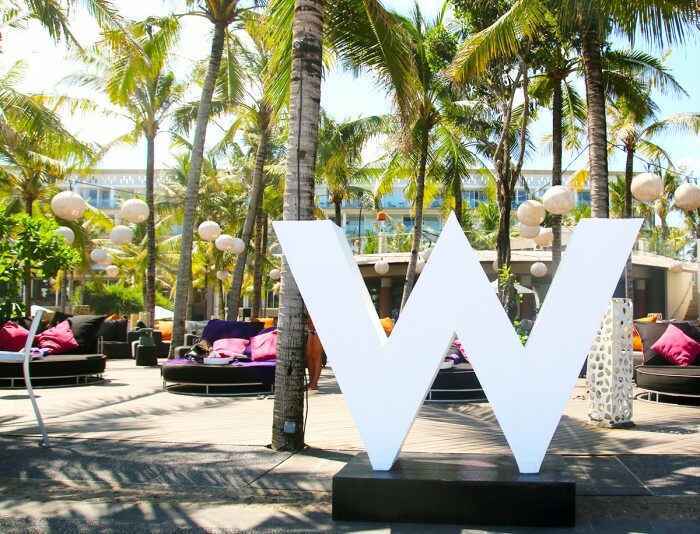 The hotel is walking distance from the beach and a number of restaurants and nightlife options. It’s also very close to Art in Paradise, a popular trick-eye 3D museum. With a population of over 11 million people, Bangkok is not only the biggest city in Thailand, but also one of the biggest in Asia. 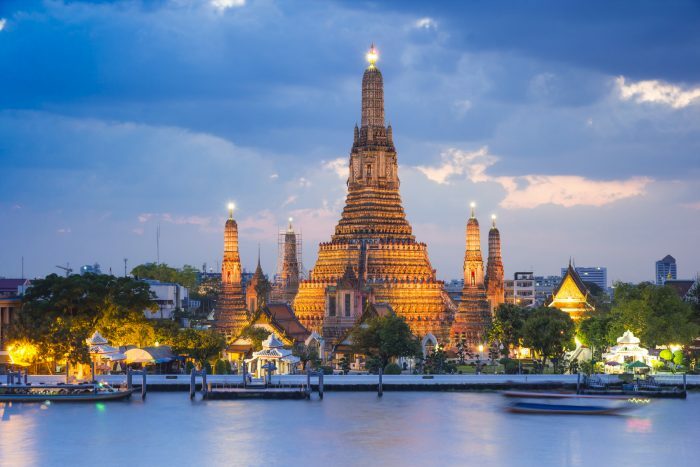 Bangkok is a dizzying, colorful metropolis filled with skyscrapers, traffic, neon signs, ornate temples, bustling markets—and heat. Despite its chaos, it’s hard to dislike Bangkok. The city also has an excellent public transportation system which includes the BTS Skytrain, MRT (metro), and several rail lines, which make navigating Bangkok a little easier for travelers. For some serenity during your time in this busy city, stay at ibis Bangkok Riverside, one of five ibis hotels in Bangkok. The ibis Riverside Bangkok is located on Bangkok’s Chao Phraya River and offers beautiful views of the river, as well as close proximity to lifestyle and shopping venue Asiatique and a number of shops and restaurants. It’s also a short walk across the bridge to the BTS station and ferry port. So what are you waiting for? Take advantage of ibis’ anniversary and book an ibis hotel in one of these fantastic Thai destinations today! For more information, visit accorhotels.com or send your enquiry to facebook.com/ibisThailand.